The ideal kitchen is a living room and workshop at the same time. On the one hand, it should be functional and practical, so everyday tasks can be done quickly and easily. On the other hand, the kitchen has to be a place to feel good, where people like to spend time with themselves, their family and friends. Good design is thoughtful design. Functionality and comfort are essential at Popstahl. 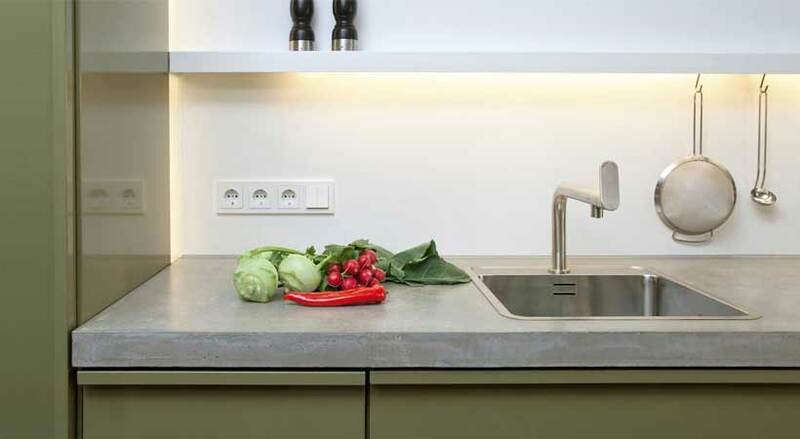 This includes low-maintenance surfaces as well as individually adjustable worktops and ergonomic handles that are formed directly from the metal. Popstahl is full of ideas that make cooking easy and the kitchen beautiful. New kitchens almost always look nice. But when they are made of Popstahl, they do not show any visible signs of wear, even after years of use. The special filling of the metal fronts and the powder-coated surfaces ensure that the pieces do not deform, bend or fade. Not even when things get messy in the kitchen. 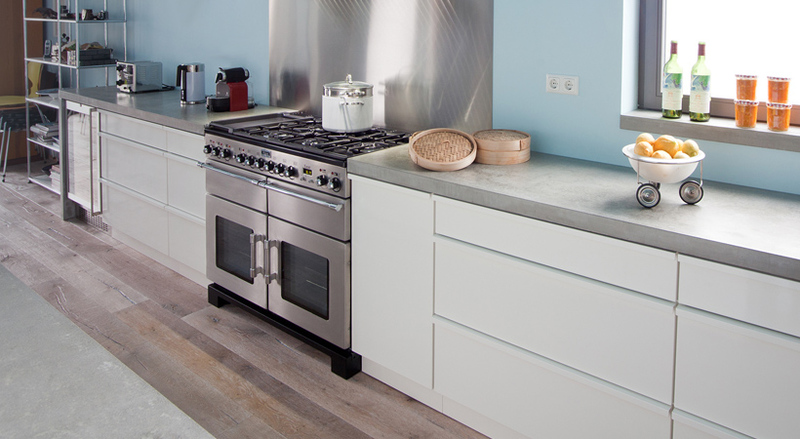 Each Popstahl kitchen is designed and manufactured according to individual wishes and demands. 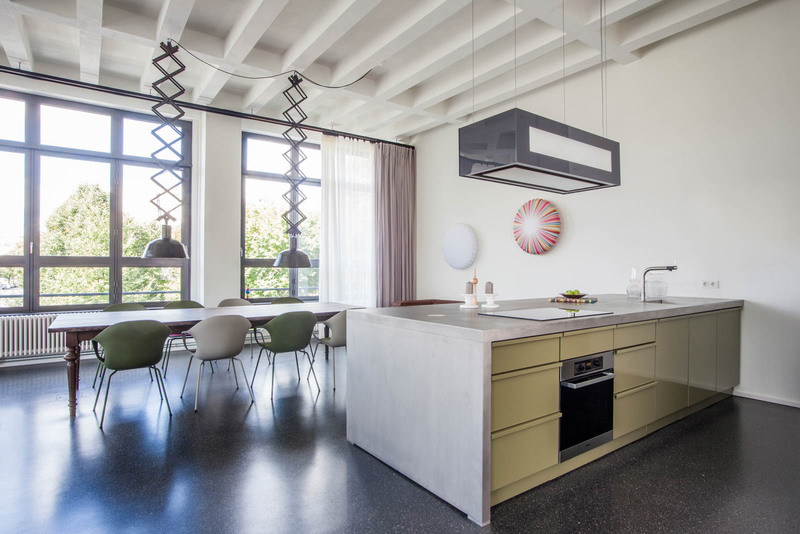 One or more colours, countertops made of stainless steel, wood, concrete or natural stone, generous kitchen island or mobile compact kitchen — creativity knows no limits. The production of Popstahl in Austria refrains from any solvents and only uses hydropower. Popstahl can be recycled completely. The highly durable design and modularity of the kitchens also belong to the sustainable concept of Popstahl. The furniture does not deform, even after years of intensive use. Moreover Popstahl can be expanded repeatedly and adapt to new needs. Even a colour change is possible without any loss of value. Popstahl lasts a lifetime. An important inspiration for Popstahl is the work of Otl Aicher. The designer did not only gain international recognition with his pictograms for the 1972 Olympic Games in Munich, but also published “The kitchen for cooking. Workshop of a new culture of life” in 1982. He dedicated this book to the practical design of kitchen spaces. 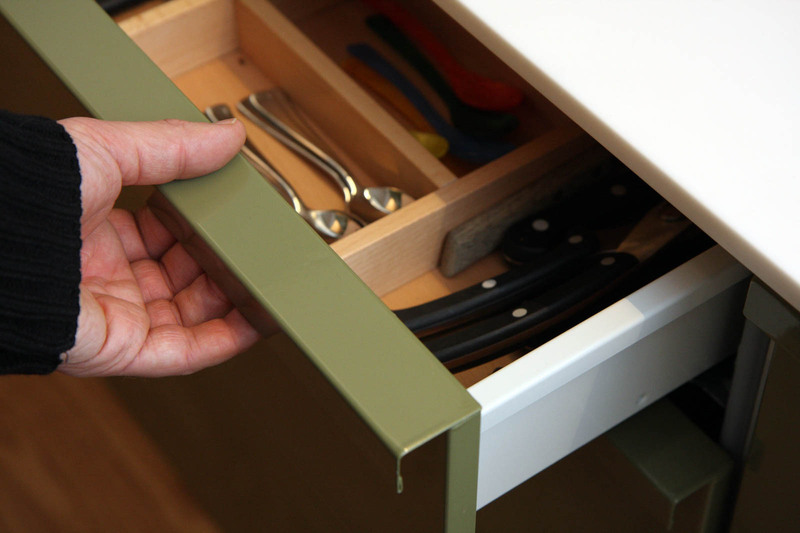 Ergonomic working and the merging of living room and kitchen are crucial for Aicher. He propagates the open kitchen with a work table in the middle. In contrast to the clinical emptiness of many industrially manufactured kitchens, he placed cooking spoons, ladles and scoops on open shelves — easily within reach.